A perfectly simple and stylish wedding print gift for a special newlywed couple. 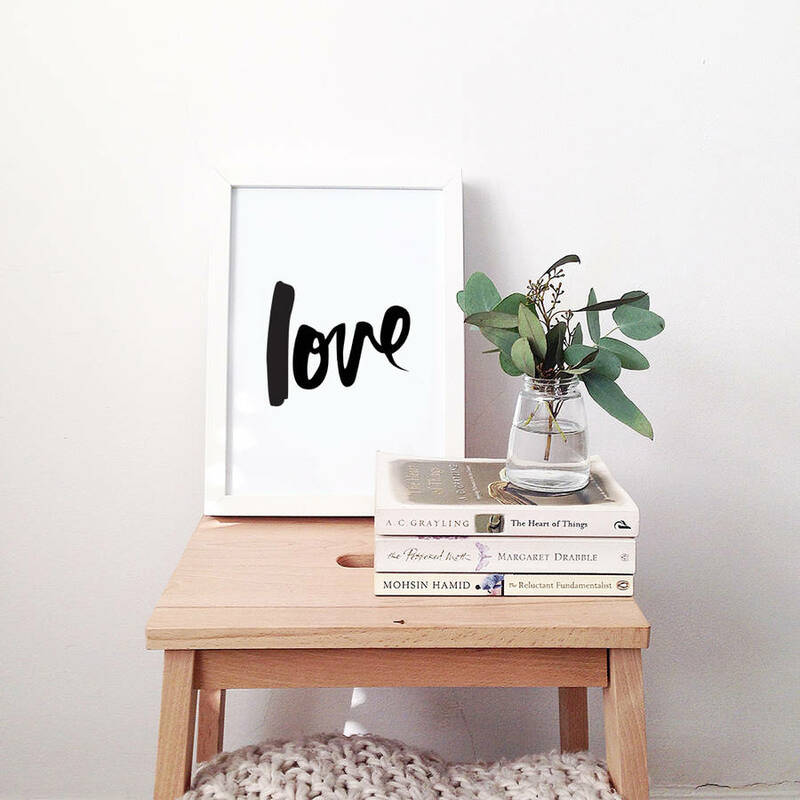 A sweet wedding print designed by hand featuring our classic hand lettered font. 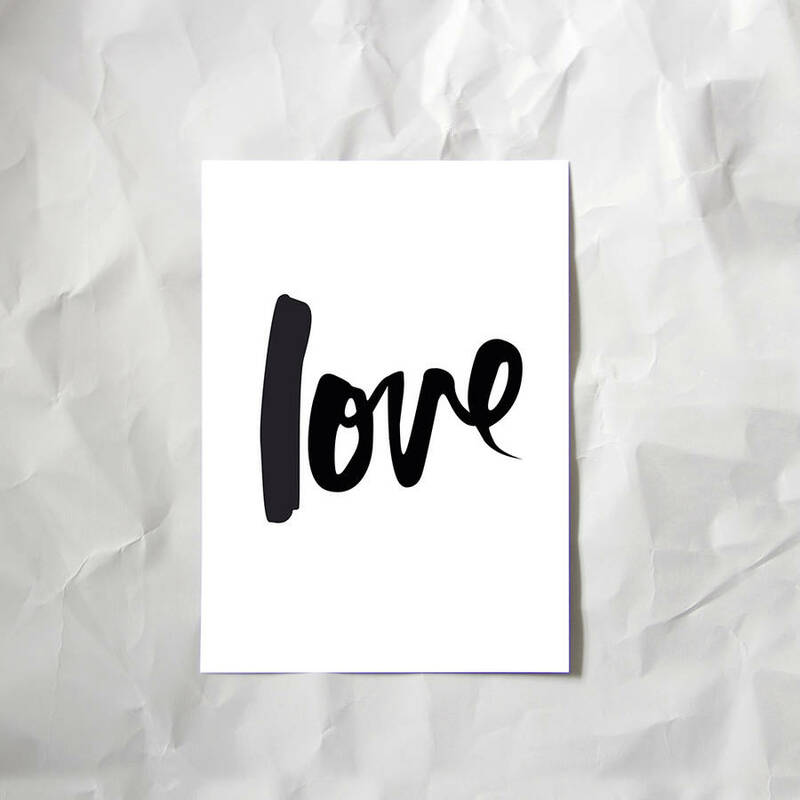 The word 'love' is printed in black on super luxurious matte paper. 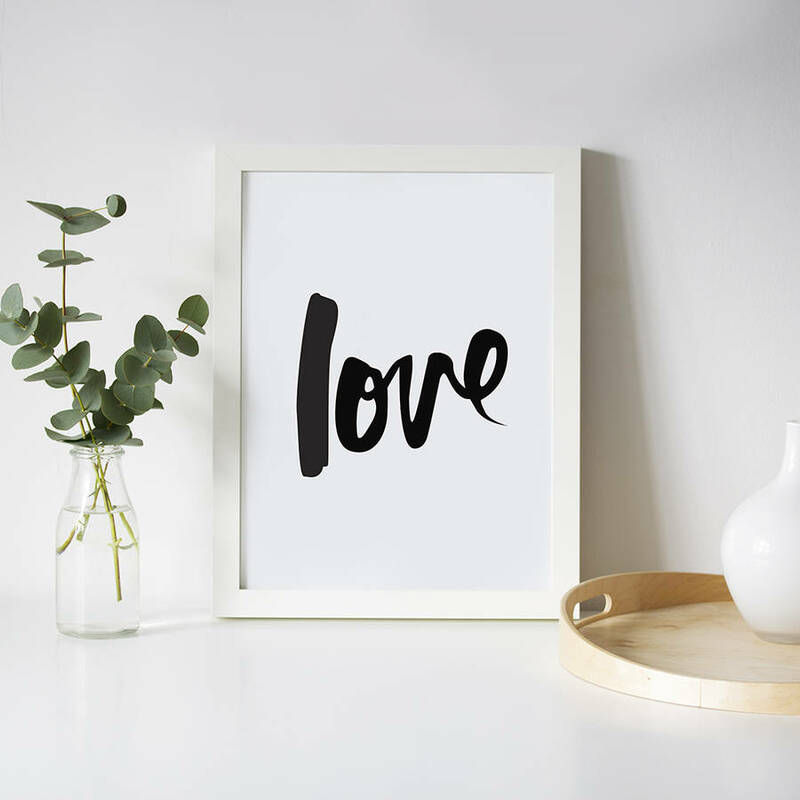 This unique wedding print would make a perfect wedding gift, engagement gift, anniversary gift or Vaentine's gift. Our prints are printed on to thick 280gsm matte paper, which gives a super sleek finish and deep, bold colours. We use the highest quality inks so your print will last without fade.